What goes together better than beer and fantasy football? What goes together better than football and beer? Maybe peanut butter and jelly but not much else. 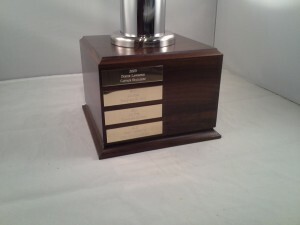 That’s why we introduced an entire line of beer-related trophies. 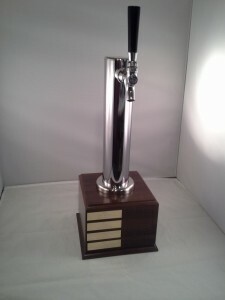 This is the Beer Tap Fantasy Football Trophy and can be ordered with a custom tap to match your favorite brand! This one is off to WA state! This entry was posted in Fantasy Football Trophies, Fantasy Football Trophy, fantasy trophies, fantasy trophy, football trophies, Football trophy, Perpetual Fantasy Football Trophy and tagged fantasy football trophies, Fantasy Football Trophy, fantasy trophies, fantasy trophy, football trophies, football trophy, funny fantasy football trophy, perpetual fantasy football trophy by Tom Harkins. Bookmark the permalink.